The Vikings improved to 6-4-1 after outlasting the Green Bay Packers 24-17 Sunday night in a result that all but locks the Packers out of the playoff picture. Kirk Cousins followed one of his worst games as a Viking last week against the Chicago Bears with one of his best. Cousins carved up the Green Bay secondary for 342 yards and 3 touchdowns on 29-of-38 passing for a rating of 129.2, his highest of the season. Eagles open at -6. Can they cover by a full touchdown? Adam Thielen and Stefon Diggs are proving to be the NFL’s most dominant receiving duo. The two combined for 202 yards and 2 touchdowns on 16 catches, 8 receptions for 125 yards and a touchdown and 8 catches for 77 yards and one touchdown, respectively. Meanwhile, it was ugly but the Patriots rebounded from a 34-10 blowout loss to the Tennessee Titans when they last took the field two weeks ago with a 27-13 victory over the division rival New York Jets on Sunday. 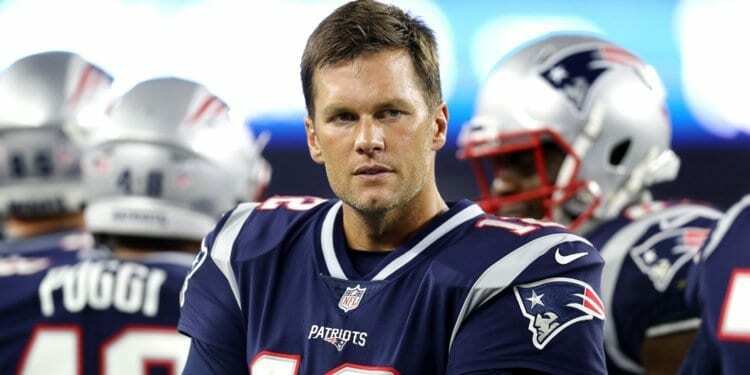 Tom Brady was solid after laying an egg against Tennessee and sinking to his lowest quarterback rating (29.5) and second lowest passer rating (70.6) of the season. He looked like himself again against the Jets, finishing 20-of-31 for 283 yards and 2 touchdowns, and in the process became the NFL’s career leader in total passing yards in both the regular and post seasons. The New England offense as a whole morphed back into a powerhouse, racking up 498 total yards, 283 passing and 215 rushing. Rookie running back Sony Michel posted the best day of his young career with 131 yards and 1 touchdown on 21 carries and James White added 73 yards on 9 attempts. The receiving corps also played a large part. Julian Edelman finished with 4 catches for 84 yards and a score, Josh Gordon nabbed 5 passes for 70 yards and Rob Gronkowski had 3 catches for 56 yards and 1 touchdown. The Vikings and the Patriots have met just 12 times going back to 1970 and New England leads the series 8-4-0. The Patriots have also dominated their most recent meetings, winning 7 of their last 10 matchups dating back to 1979. For Minnesota, listed as questionable for Sunday’s game are S Andrew Sandejo (groin), CB Xavier Rhodes (hamstring), TE David Morgan (knee), LB Ben Gedeon (concussion). For New England, listed as questionable for Sunday are S Nate Ebner (knee) and RB Sony Michel (undisclosed). Kirk Cousins to Adam Thielen/Stefon Diggs has been the most unstoppable passing connection in the league and should give New England’s 25th-ranked pass defense fits. At least on paper. Pats head coach Bill Beichick has an uncanny knack for figuring these things out on the fly but if there’s one matchup that should cause New England some concern, it’s this one. The New England offense is trending upward again after putting up nearly 500 yards last week against the New York Jets. But unlike that game, this one will serve as a good barometer in terms of finding out if the gap between the New England offense and the league’s best defenses is really starting to close. The Vikings own the NFL’s 5th-ranked passing defense and its 4th-ranked rushing defense. Temperatures of 52 degrees are expected for this one under mostly cloudy skies with 90% humidity 6 mph SW winds.